Free Probate Services – "We Help Take Probate Off Your Plate"
Have You Been Appointed As Executor or Administrator of a Loved One's Estate? We know how stressful it can be to take care of paperwork and lawyers while trying to recover from the loss of a loved one. If you were caring for your loved one before he or she passed away, you're left with even less energy to spare when it's all over. The emotional strain of dealing with probate is made harder by the fact that you have just lost a loved one. It can be worse if you try to take on this administrative burden alone. How Do You Even Know What To Do? Most people have never been appointed as the executor of a loved one's estate. If you're one of them, there is a long list of details and technicalities you'll need to learn if you are going to manage the transaction properly. Are You Ready To Appear In Court? We take the stress out of probate. At no added cost to you. This is a simplified diagram. Please consult an attorney. 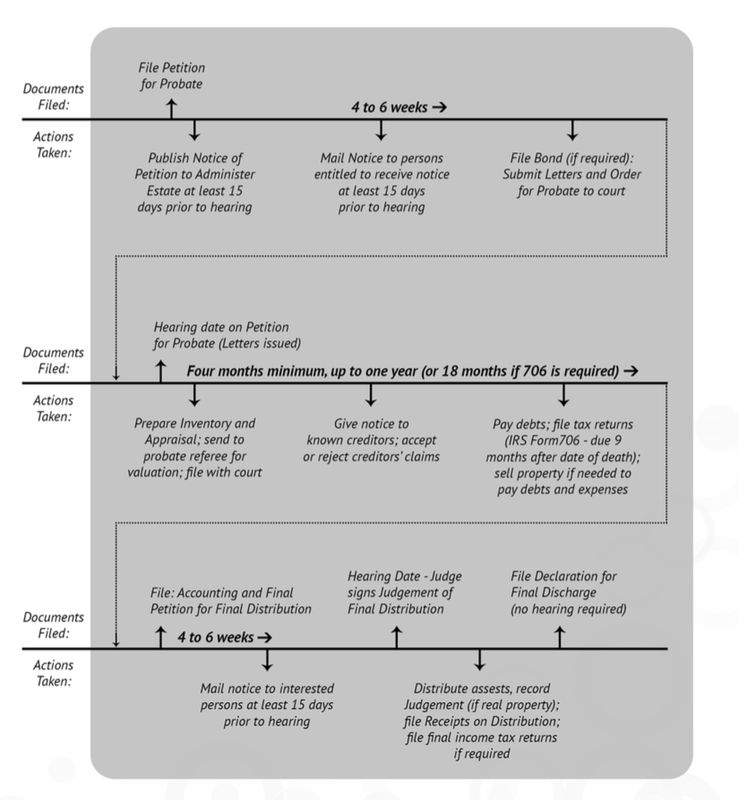 Ready To Get Free Probate Help?